The William Henry BA1 Bolt Maui is a high quality pen that combines outstanding workmanship with a novel opening mechanism. The entire bolt action pen is 4.75 inches, making it easy to fit inside any pocket and lightweight, weighing 1.1 ounces. 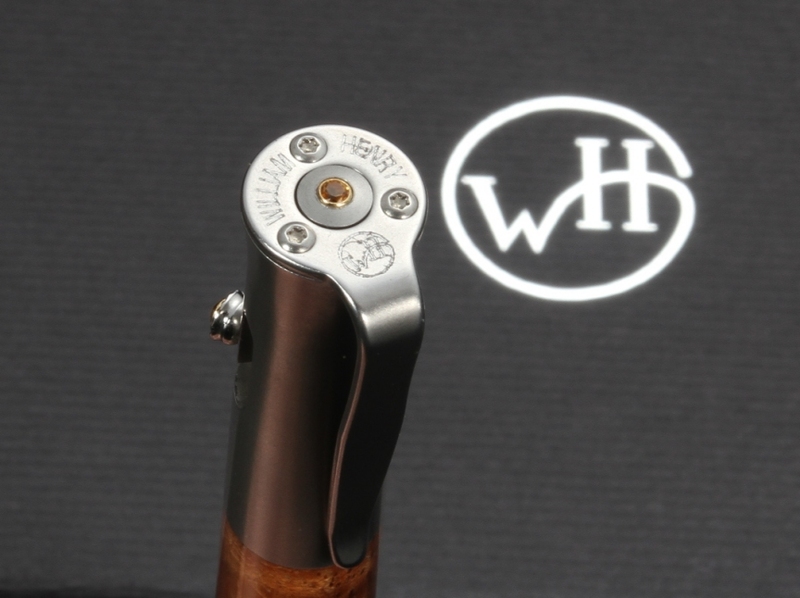 The William Henry Bolt makes a great everyday carry pen for someone looking to stand-out from the normal. The pen works on a spring-loaded bolt-action. 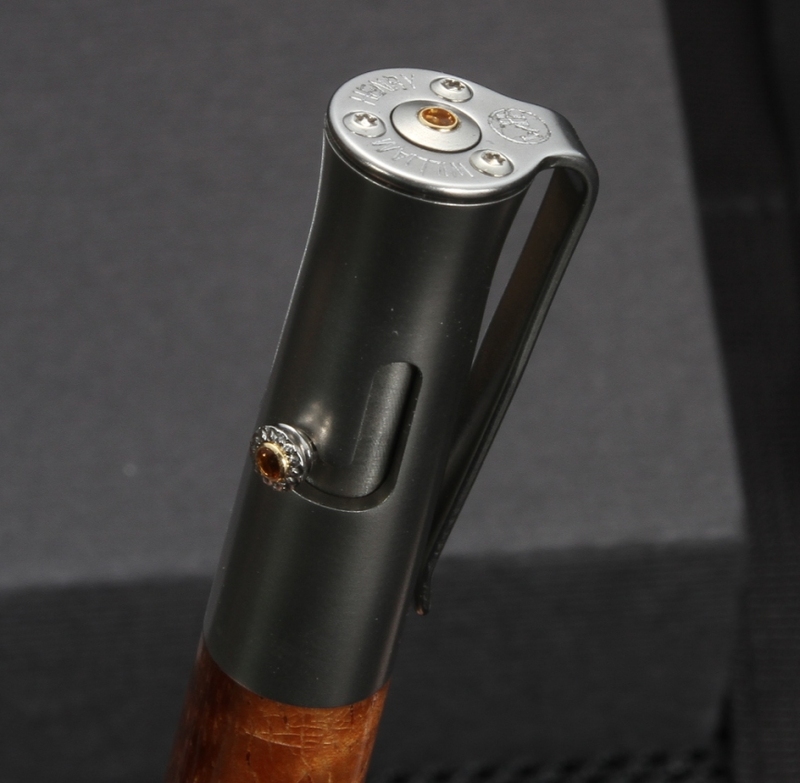 This mechanism was inspired by the bolt-action rifles, where the pen locks when open and spring releases when it closes. The bolt-action gives the pen a unique mechanism that provides quick one-handed operation. This pen has high quality finishes and materials. 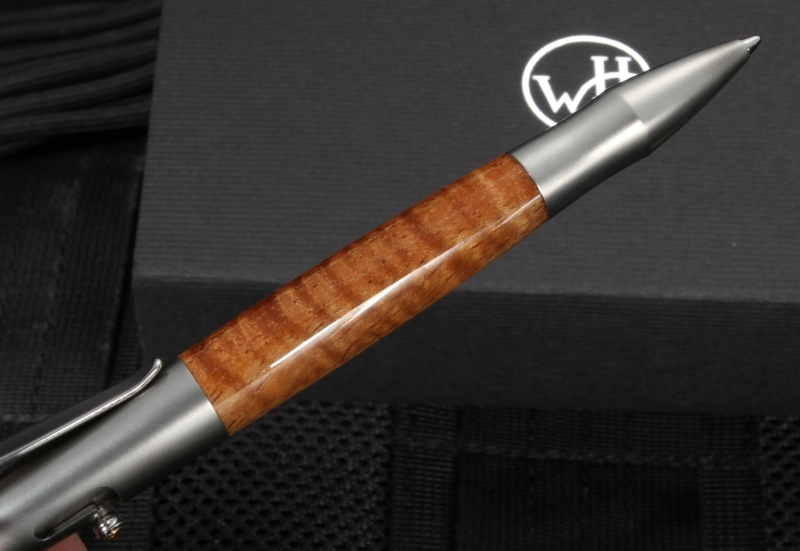 The barrel is made from curly Koa wood, found only in Hawaii and the frame of the pen is stainless steel. This reddish-brown wood is resin stabilized, creating durability and is high polished. Each clip is individually numbered and designed for perfection. Adding to the stainless steel frame are citrine gemstones. These citrine gemstones are set in the bolt and on top of the pen. Ranging from yellow to brown, these citrine gemstones give the pen a spectacular accent to the rest of the pen. Parker style refills, one of the most common refills on the market, can be used for this pen. If you're looking for a pen that will last for years, look at the William Henry BA1 Bolt Maui pen at KnifeArt. 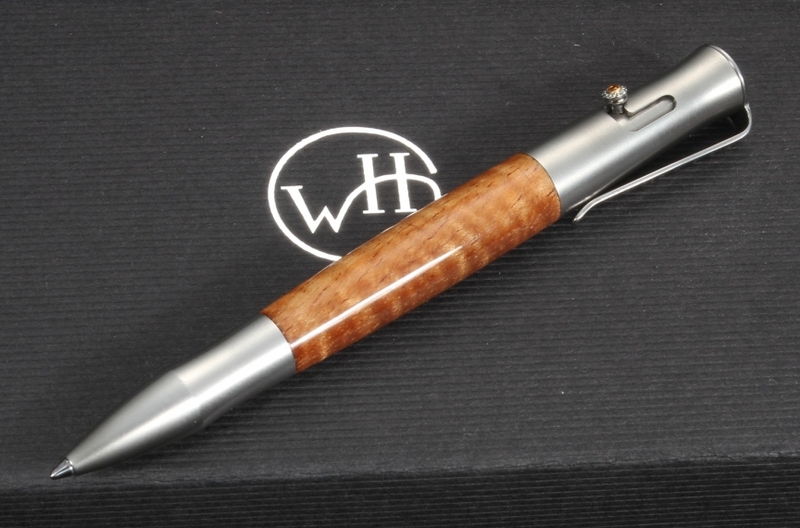 We are the authorized dealer of curated, hand-selected items like the William Henry Pen. Buyers can be assured they are buying the best pen for them, complete with a satisfaction guaranteed. Ask us about our free shipping in the United States.